Would Your Family Like Hanging Out in a Cozy Cone by the Pool? When Walt had the opportunity to purchase the many, many acres of land in Orlando, he knew he wanted the space for more than just the parks. He wanted to be in control of the entire guest experience which included the resorts. Disney’s ability to transport you through storytelling is evident in every resort on Disney property no matter what the price point. This is one of the many things I love about helping your family decide which property to book when visiting Walt Disney World. No matter what your budget, you can be sure there is a fun-filled place to rest your head at night. 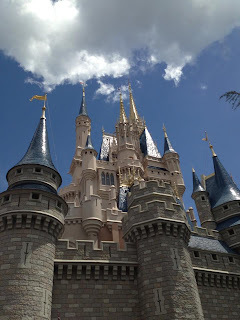 While amenities and proximity to theme parks becomes more advantageous the pricier your resort, you are sure to experience a solid dose of Disney magic even at the most budget conscious of hotels. I have had the pleasure of staying at almost every resort in Disney World and I know every resort has something special to offer. Choosing the right place for your family is not an easy task, particularly if you are not familiar with all the options. 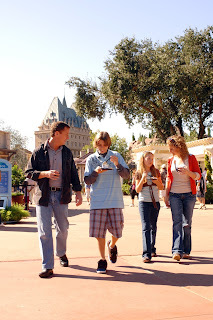 Discussing your choices is something I love to do and it is one of the most exciting conversations to have as it generally is the kick off to designing your Disney vacation. No matter what your budget, together we can find the perfect place for your family to enjoy and use as a homebase to rest and rejuvenate before heading out to the excitement of the parks. 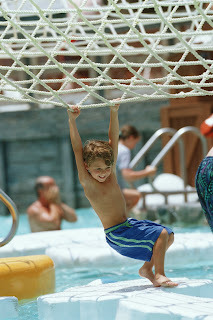 Booking your resort means Wahoo!!! You’re going to Disney!!! Did It Really All Begin With a Mouse??? The perpetual light which represents Walt Disney in his apartment window. I recently returned from a wonderful week of training in Disneyland, CA. Besides meeting lots of great people, learning more about Disneyland and Adventures by Disney and what we offer, I also had the opportunity to experience Disneyland Park and California Adventure. Disneyland Park in Anaheim, California is the original. This is the only park where Walt was able to see his dreams come to fruition and it is clear his legacy is embraced and celebrated in every nook and cranny. I had the rare opportunity to take the Walk in Walt’s Footsteps Tour which included being able to go inside his apartment. I don’t think it would come as a huge shock that Walt Disney is someone I greatly admire. This chance to learn more about his journey to becoming the “Walt Disney” and to visit the rooms where he spent so much time was intriguing, inspiring and gave me pause to think about why I admire what he’s created to the extent that I do. Walt’s dreams first took shape on one of his Daddy Days when he took his daughters out for some fun. While sitting on a bench, watching his girls ride the carousel in the park, he decided there ought to be some sort of entertainment or attraction where parents and children could have fun together. This was the seed of inspiration that launched his imagination into what soon became Disneyland Park. It was Walt’s sense of family and being together that drove his dreams. The idea of family sharing good times, strengthening those bonds in a carefree environment, is what makes us strong and guides our lives in a productive direction. Walt has famously said, “Let us always remember it started with a mouse.” I respectfully disagree, Mr. Disney. I believe it was your belief in the institution of family, people who are joined together by love, that has made the name Disney so beloved by so many. I am grateful for the limitless imagination and innovation of Walt Disney. I am grateful to the many people who helped him along the way, and I am grateful to all the people who perpetuate his dreams and philosophies. And not the least of which, I am grateful for the many opportunities I have to help families come together whether it is at Disneyland, Disney World, on a Disney Cruise or a Disney trip abroad because I know and believe that if it has the Disney name on it, it is the ultimate experience that celebrates family. And that is the simple reason why I am passionate about all things Disney. I am so excited to be heading to California this week for an Agents Education Program in Disneyland! 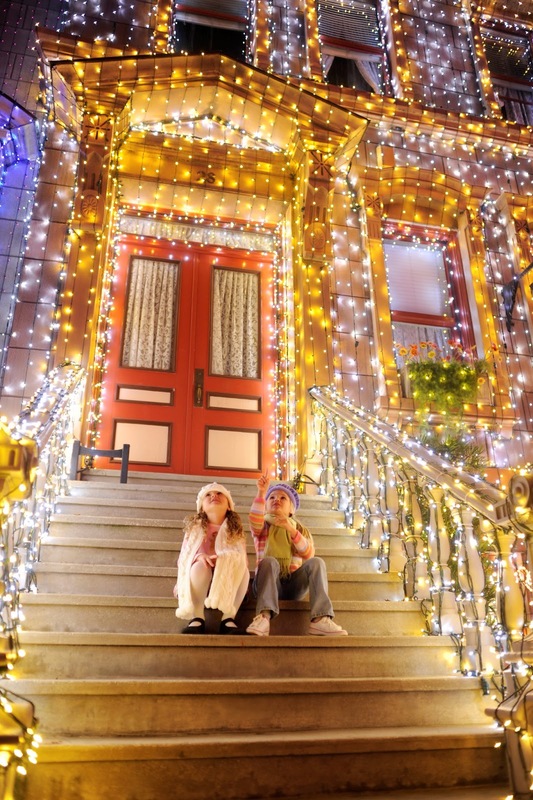 I will be learning how to bring you even Moore Magic with your Disneyland vacations. I'm especially revved up to experience the all new Cars Land! Ka-Chow!! I wish I could pack each of you in my luggage but you can come along with me on Facebook or Twitter! 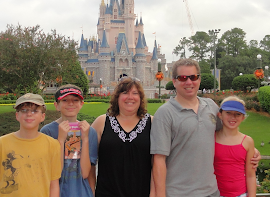 The Cobb Family just came home from their magical family vacation in Disney World. They took this awesome photo of the castle and I thought it was so beautiful, I just had to share! I hope you too will let me turn your family's dreams of a Disney vacation into a reality. All my services and expertise are completely free!! Now that's what I call magical!! Probably the first question everyone asks themselves once they’ve decided to vacation with “the Mouse” is when to go. Each season brings with it different special events, different crowd patterns even different weather expectations. I’ve taken the months of the year and listed the highlights and the not so great features for each. Of course no matter when you go, it’s always better in Disney!! January & February – Low crowds, break from intense northern winter, parks not open as late, weather can really change from cold to warm to cold within a short amount of time, crowd spike around President’s weekend. March & April – Epcot International Flower & Garden Show, weather is beautiful and the burst of flowers spectacular, crowds are up with Spring Breakers, the week leading up to Easter Sunday and the week after have incredibly high crowd levels so planning and strategies are a must! May & June - Final weeks of Flower & Garden Show, Star Wars Weekend!, crowds are manageable except for Memorial Day weekend, heat and humidity can start be high especially for northerners, beginning of rainy season. July & August – No school for kids so easy planning!, parks in full swing, crowds are at a steady high, biggest spike in crowds for 4th of July week, daily thunderstorms and hurricane season. September & October – Epcot International Food & Wine Festival, Mickey’s Not So Scary Halloween Party, crowds drop off from end of August, humidity wanes and weather is beautiful, might not be ready for all the Halloween trimmings in early September, daily thunderstorms and hurricane season. November & December – Final weeks of Food & Wine Festival, Mickey’s Very Merry Christmas Party, Epcot’s Holidays around the World and Candlelight Procession, holiday season with all the decorations which are up by Thanksgiving, lovely weather, low crowds until Thanksgiving week which spikes followed by low crowds in early December up until Christmas to New Year’s week which is the highest crowd level of the year. Still not sure which week is right for you? Just ask and I will be able to tell you which specific days are your best bet! It’s one of the many free perks that comes along with booking through me! SPECIAL PER PERSON ONBOARD CREDIT OFFER! The more people you bring, the more money we give you! Receive $30 PER PERSON on the 9/14 7-Night Western Caribbean Cruise; $25 PER PERSON on the 9/28 7-Night Bahamian Cruise; and $20 PER PERSON on the 10/6 4-Night Bahamian Cruise as a special gift from me! Can’t cruise on those dates? 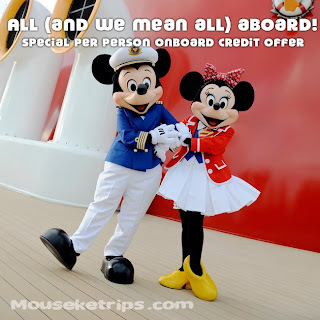 Follow this link to see what other agents are offering http://www.mouseketrips.com Offer must be booked by April 30th, 2013 – Ask for code OB4. Look for a special hot offer coming Monday morning! What could it be, you ask? Well let's just say you don't want this deal to sail away without you! When I was checking out the Big Top Souvenirs shop in the new Storybook Circus section of Fantasyland, I was completely drawn to the Big Top Treats where they boast to serve Circus Snacks Galore! 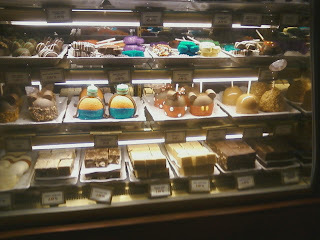 Amongst all the goodies was the most beautiful display of character caramel apples!! My picture does not do them justice but you must go check out for yourself these delicious works of art! 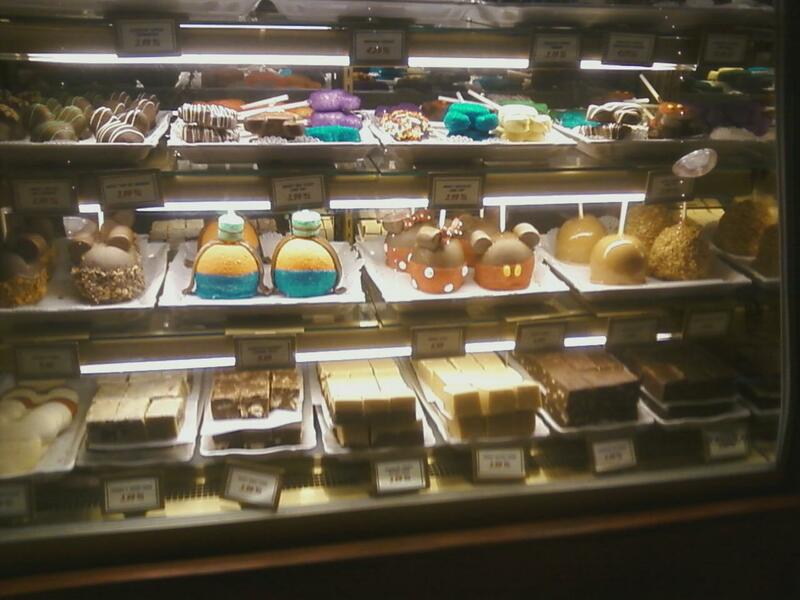 What is your favorite must-have Disney treat? 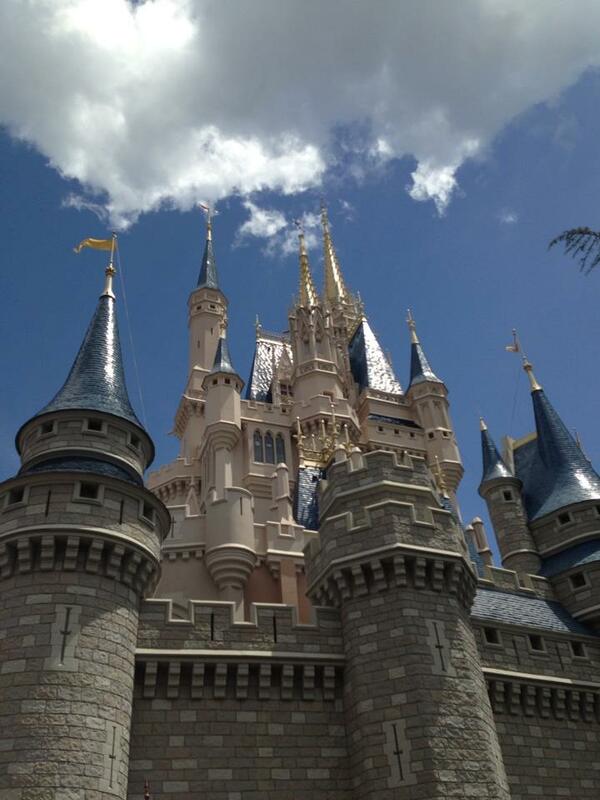 Disney World Summer Deals Are Here!! 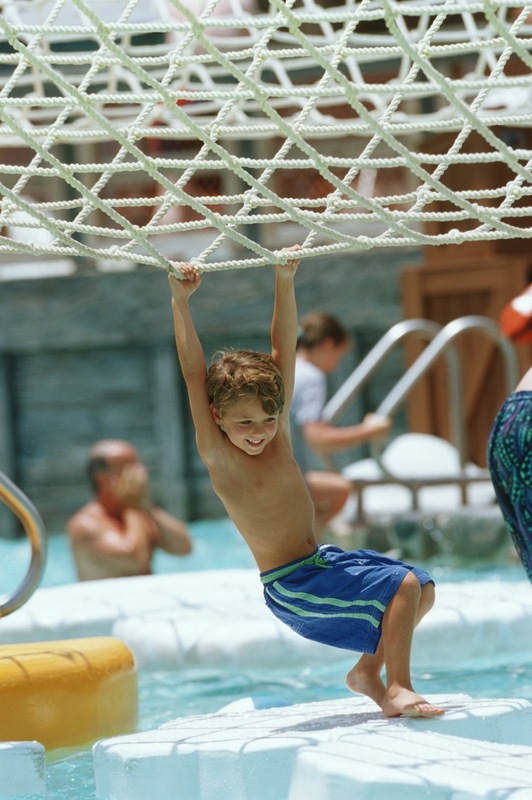 Save up to 30% on rooms at select Walt Disney World Resort hotels this summer! Add minimum 4-Day Magic Your Way Tickets to make it a package and get a discount on the tickets too! Book now for stays most nights June 13 – Aug. 14, 2013.